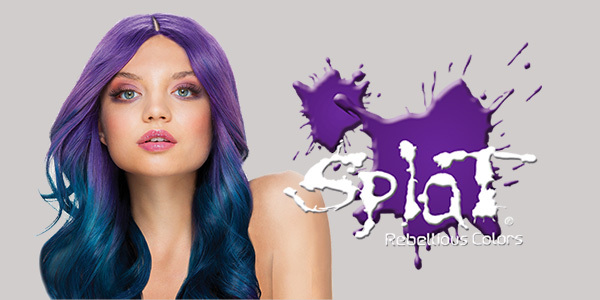 There’s no better time than Halloweento have fun dressing up and going wild with funky hair styles and colours! 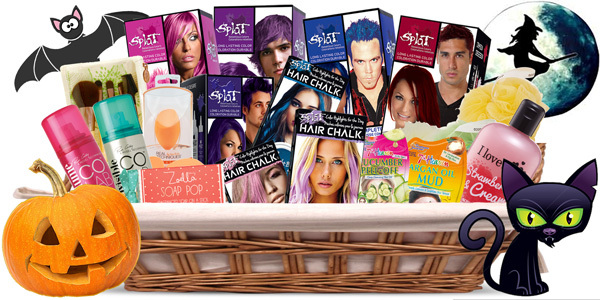 Our favourite bold hair dye SPLAT and our friends at FarleyCo Beauty have teamed up to bring you an absolutely jam-packed must-have beauty basket with lots of out-of-this-world excitement. Enter for your chance to win some of the latest featured products from SPLAT, COLAB, Real, Zoella and more!  From YouTube star Zoella, this is adorable, it’s a soapsicle! CONTEST RULES: No purchase necessary. Contest entry deadline is Oct 30 2017, at the witching hour, i.e. 12:00 midnight EST. Number of entries limited to one entry per person/email address per hour. Open to residents of Canada excluding residents of Quebec. Entrants must be at least 13 years of age (or older if required by the laws of the province or state in which you reside.) Ineligible entrants include all employees of Faze Media Group, their families, agents or anyone professionally associated with the administration of this promotion. Completed entries will be entered into a random draw for one (1) prize winners. Chances of winning depend upon the total number of entries. Prize winners will be notified within 2 business days of closing date of the contest. Any unclaimed prizes will be forfeited after 30 days of the closing date. There is no substitution available and no cash alternative. The prize for the competition has a suggested retail value of $250 per prize. Items may not be exactly as shown or described.